White Wine Spritzer - Low-Carb, So Simple! | Low-Carb, So Simple! 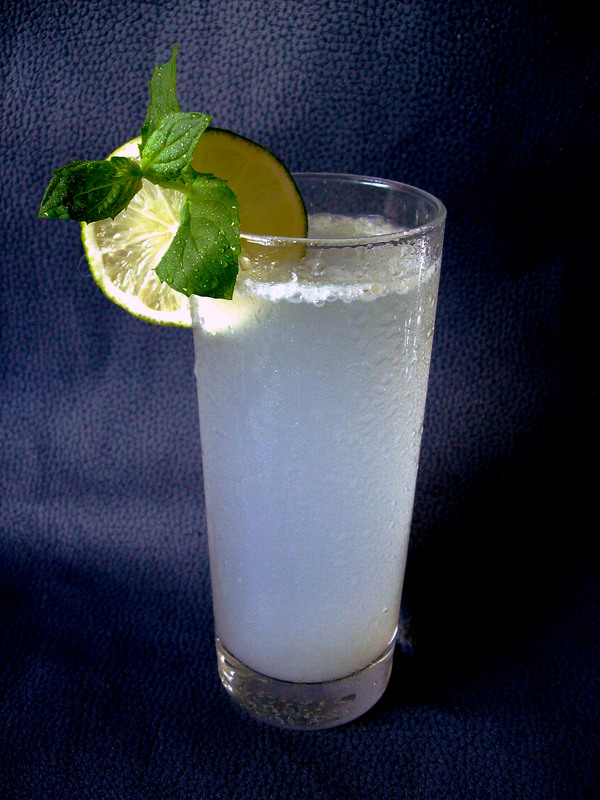 Mix the lime juice, wine and stevia in a highball glass. Fill the glass with club soda and stir gently. Serve with crushed ice and lime wedges. Makes one portion. Preparing the drink couldn’t be easier. Just mix the wine, lime juice and stevia and fill the glass with club soda and stir gently. That’s it! One note though, I recommend to use freshly squeezed juice from organic lime. It’s just worth the effort, I guess you believe me. Bottled lime juice should be used only in case of emergency. Now, when I think, last summer I read the blog from Dr. Michael R. Eades where he described a drink called Tinto de Verano which he drank in Spain. Also Wikipedia seems to have an article about this drink. The drink consists mainly of red wine and club soda. That sounded interesting and I tried it, but substituted red wine for dry white wine and added a few drops of stevia to sweeten the drink a bit since I like everything sweet. Well, in that sense my variation could be called Blanco de Verano which actually does exist. Later I also added some lime juice for more refreshing note and a nicely fruity flavor. I tried lemon juice too, but personally I prefer lime flavor, it’s somehow more elegant. 1 tablespoon 100% cranberry juice. You might want to add some more stevia as both lime juice and cranberry juice are very tart. Vanilla stevia is a nice complement to cranberry, or if you would like to get really wild, try toffee stevia. Kids will love that! 2 tablespoons freshly squeezed orange juice. Again, the carb count is a bit higher with orange juice. This makes a perfect substitute for soda! Replace the white wine with red wine. As I mentioned in last week’s post, I love to have some crackers with this drink. What is your favorite summertime drink? Is it self-made or commercial? Please feel free to share the recipe!